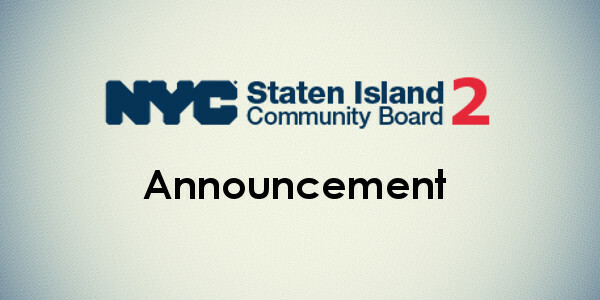 Staten Island Community 2 has finally moved on December 1, 2018. Our new office is located at Corporate Park, 900 South Avenue, Suite 28, Staten Island, New York 10314. Our new phone number is 718-568-3581. Our fax number 718-568-3595. Parking is available.